Updated Sunday August 6, 2017 by Dale Hamill. 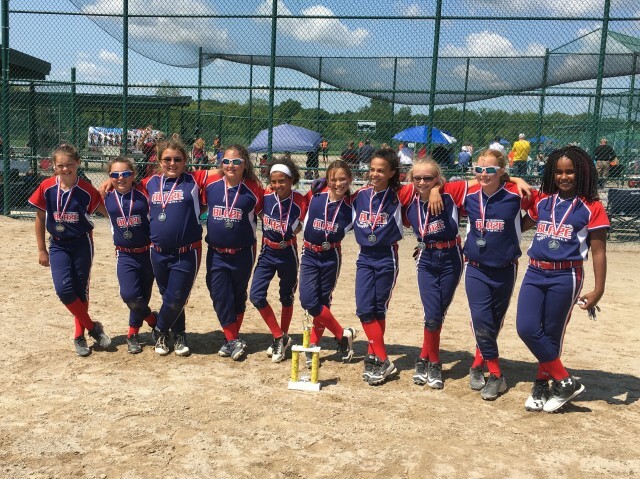 This weekend in Byron Center, BOTH 12u Red and 10u Red finish 2017 Season with a trip to the championship circle. Both teams were runner up champs in Byron Center this weekend. Both teams had coaches come in mid season to take over as head coach so to finish the season with wins like this trully shows what a team can do when faced with adversity. Proud of you girls and coaches. Way to represent Blaze !